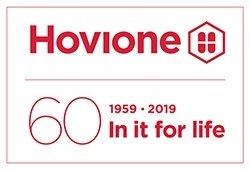 Hovione has 60 years of experience as a CDMO and is a fully integrated supplier offering from drug substance to drug product intermediate to drug product. With four FDA inspected sites in Portugal, the U.S., Ireland and China, we provide branded customers services for the development and compliant manufacture of innovative drugs including highly potent compounds. For generic customers we offer niche off-patent APIs. We are “In it for life”.